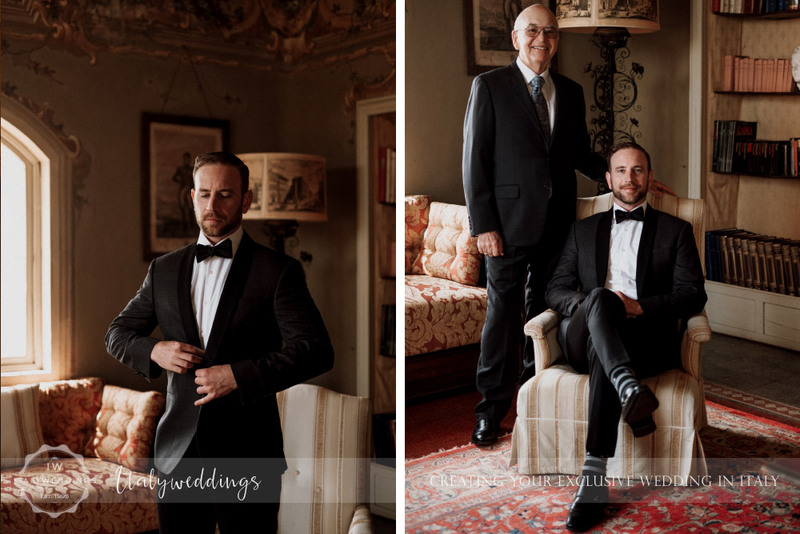 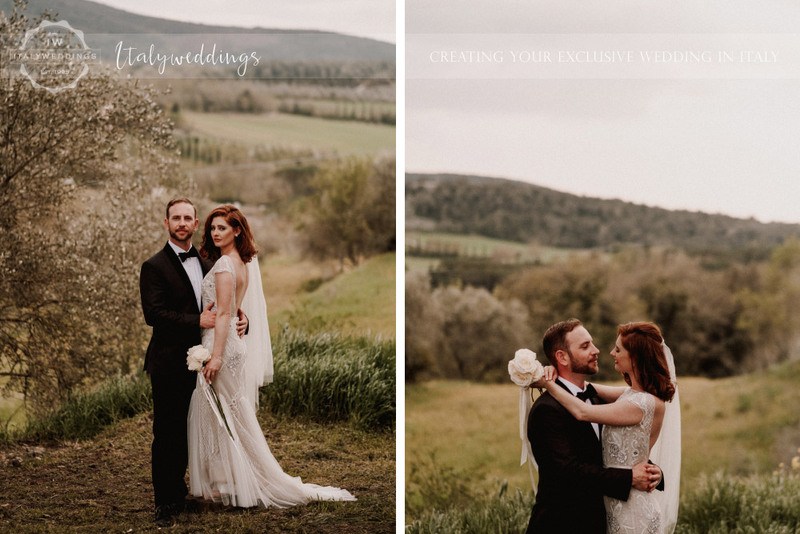 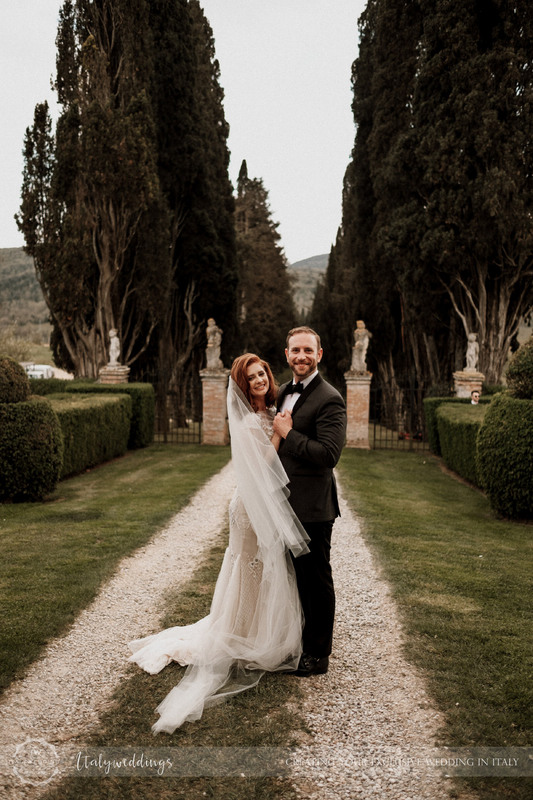 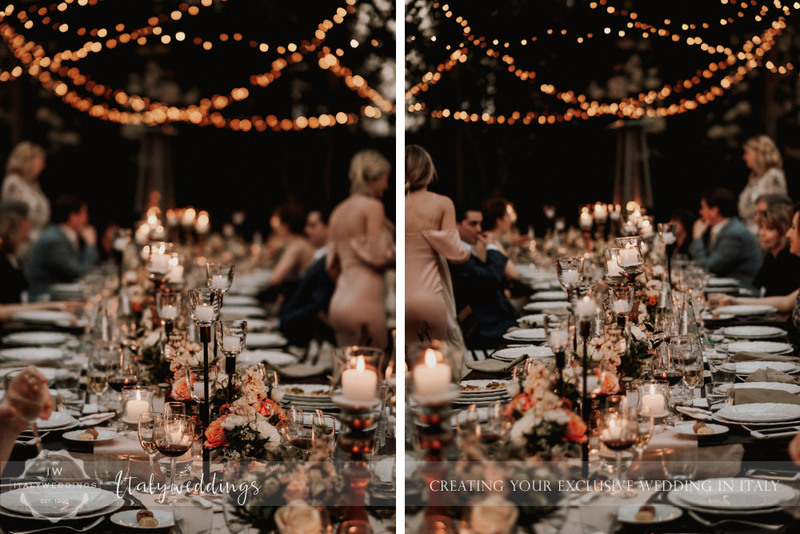 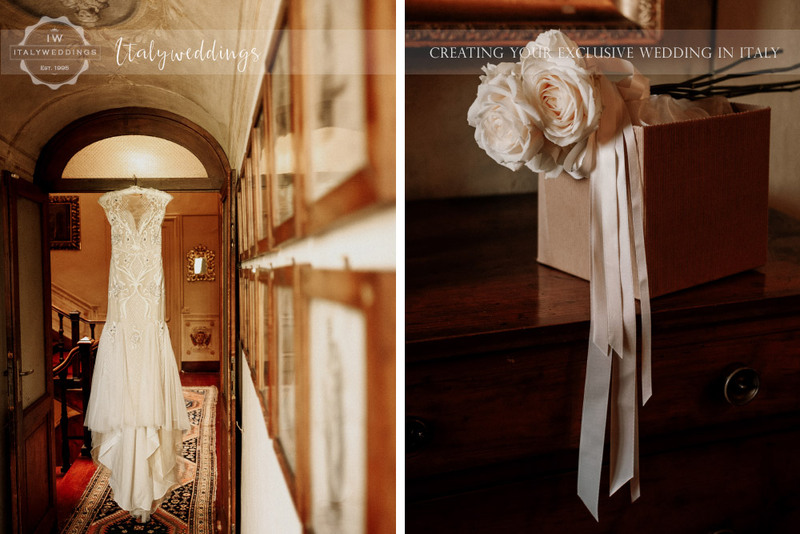 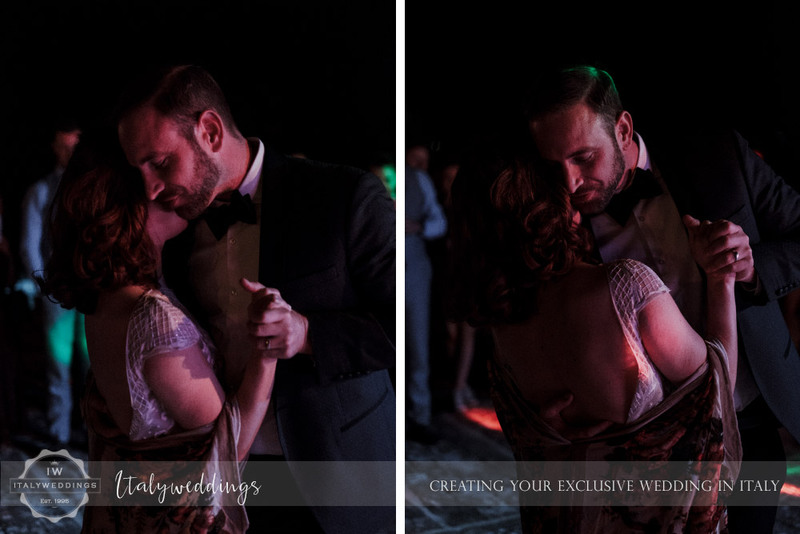 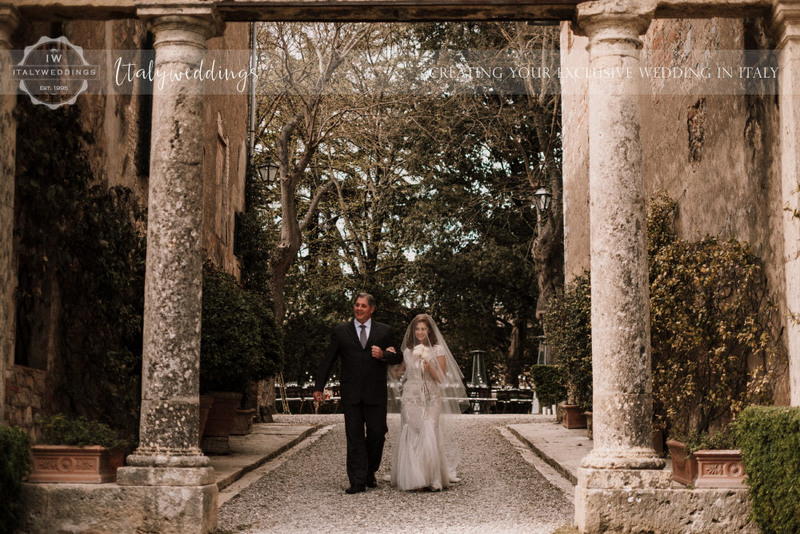 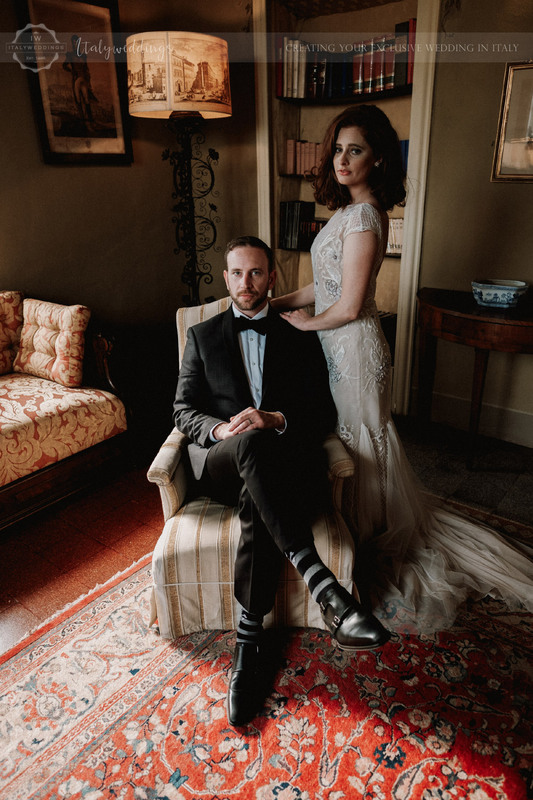 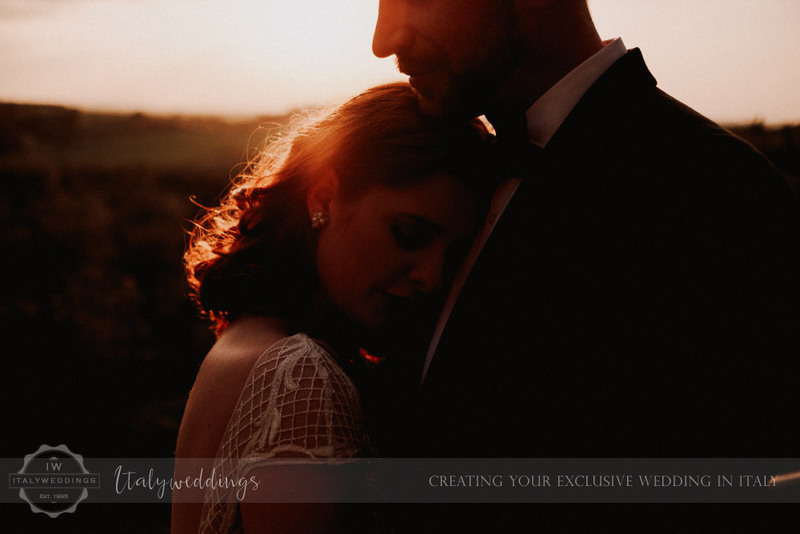 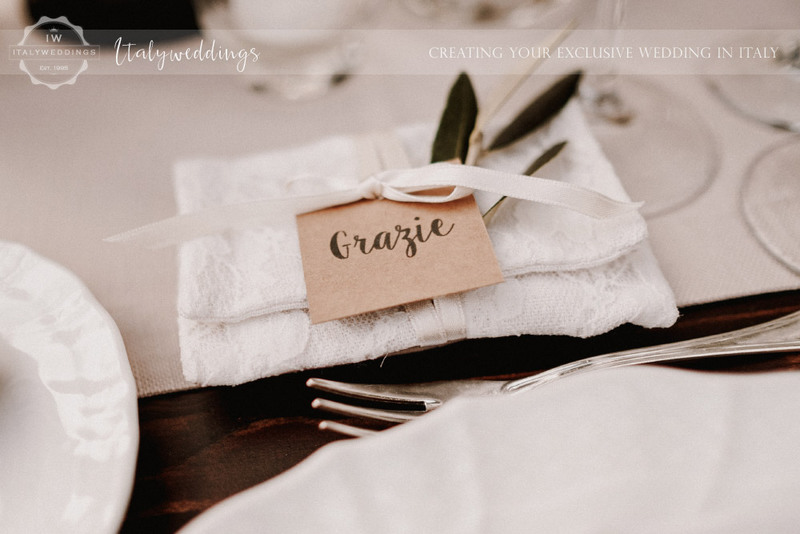 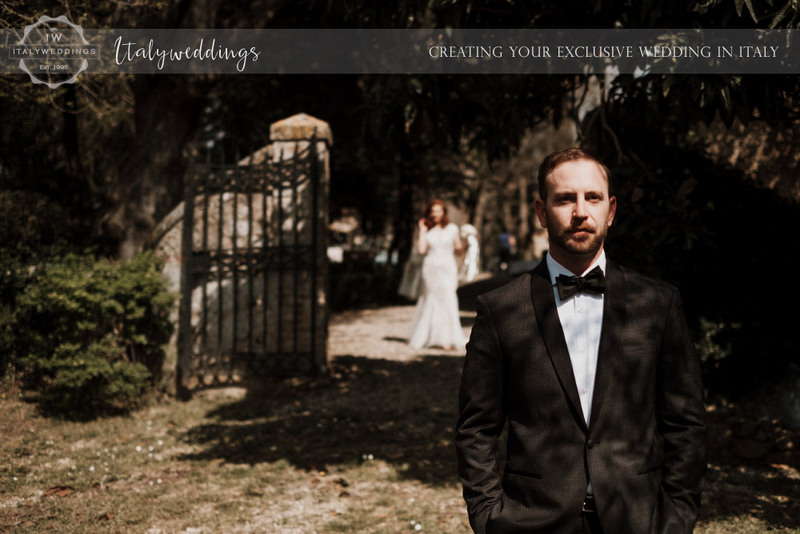 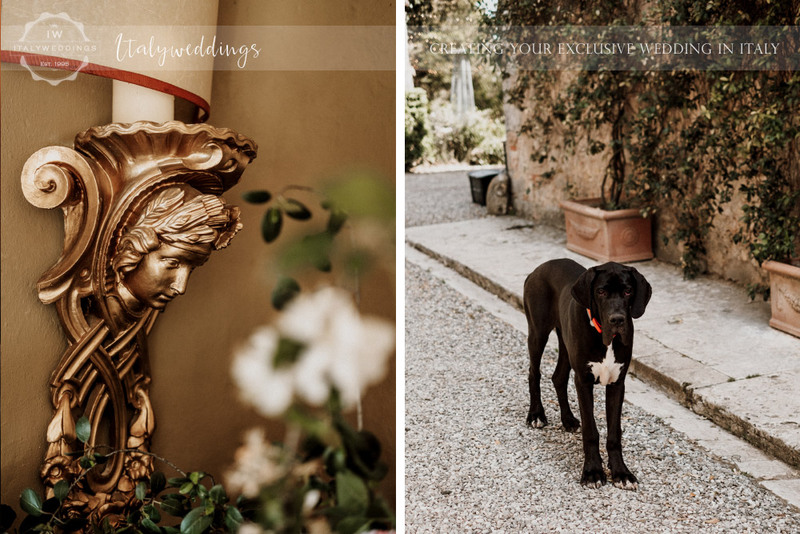 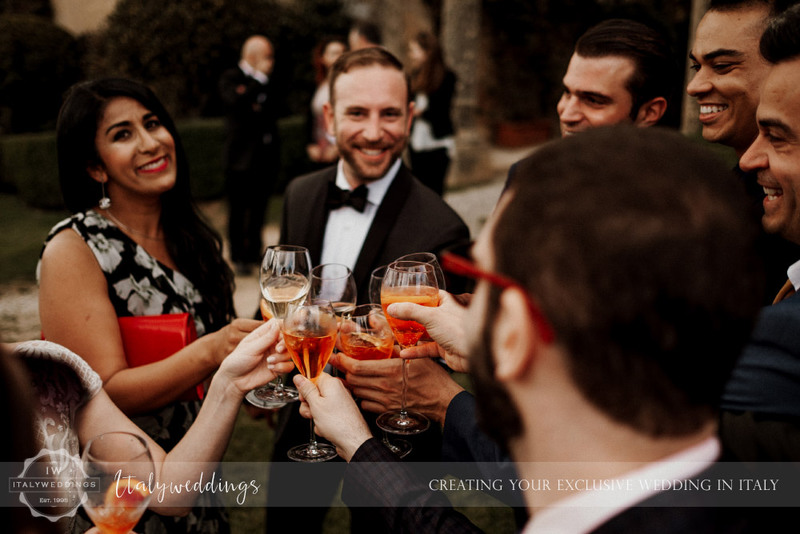 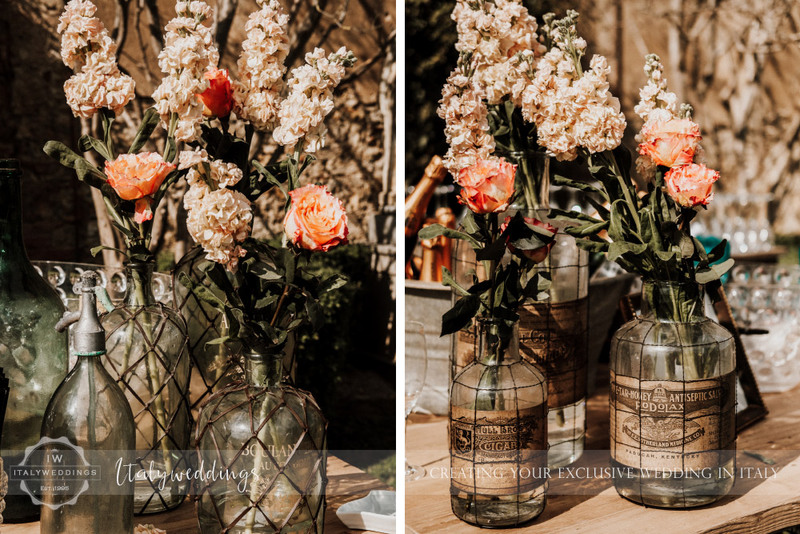 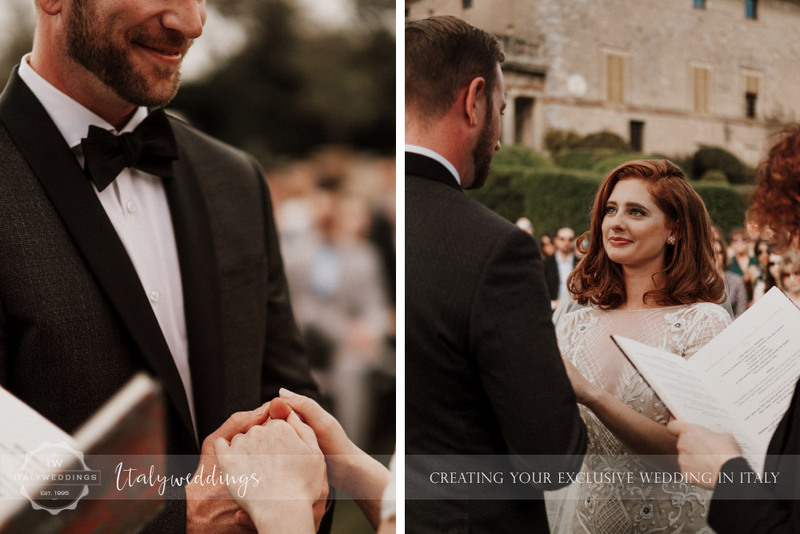 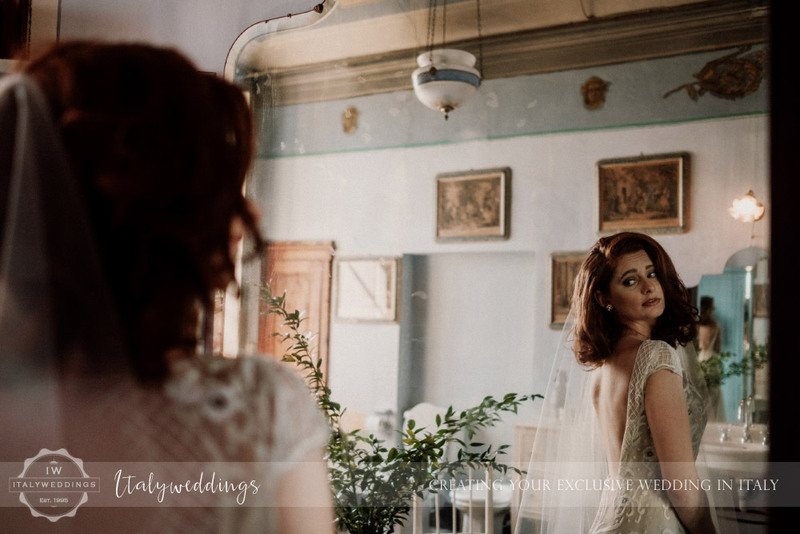 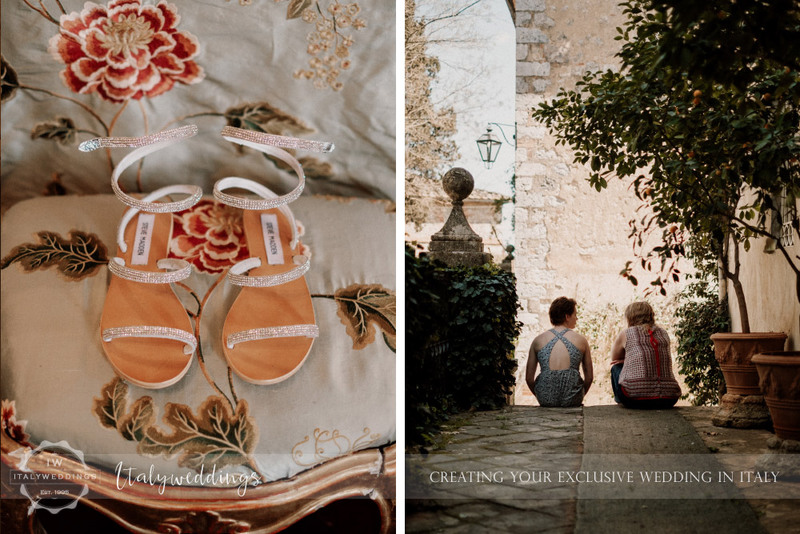 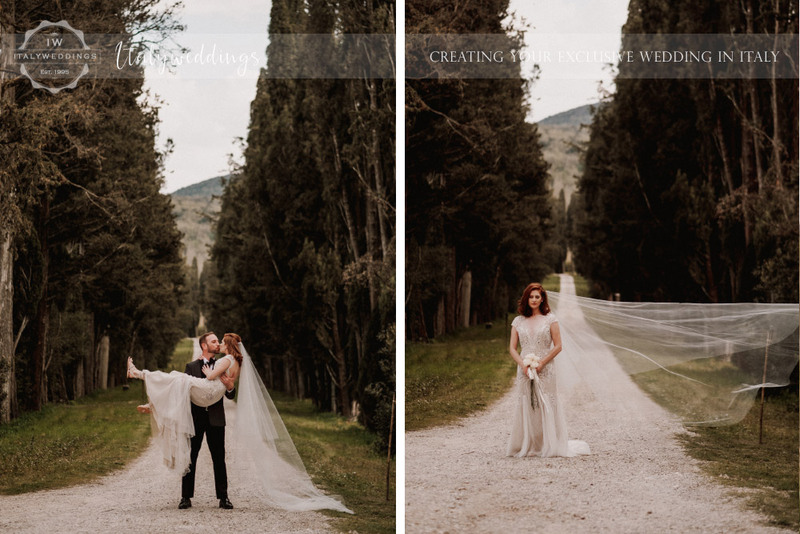 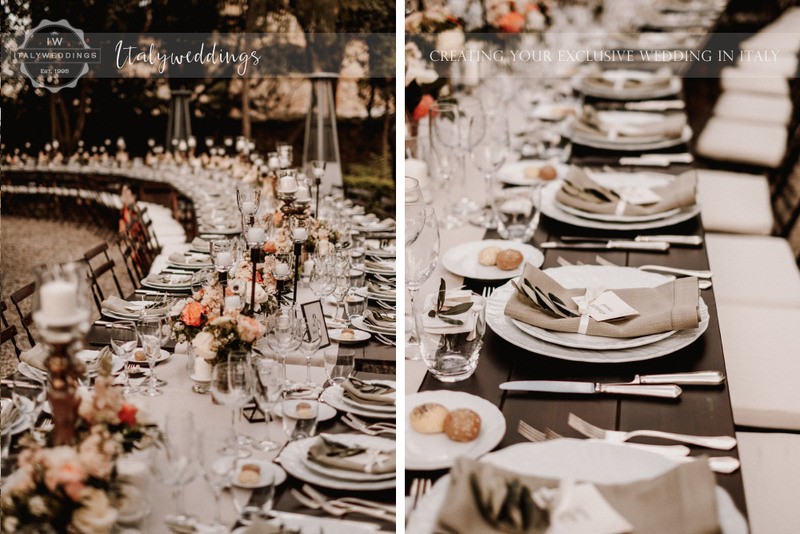 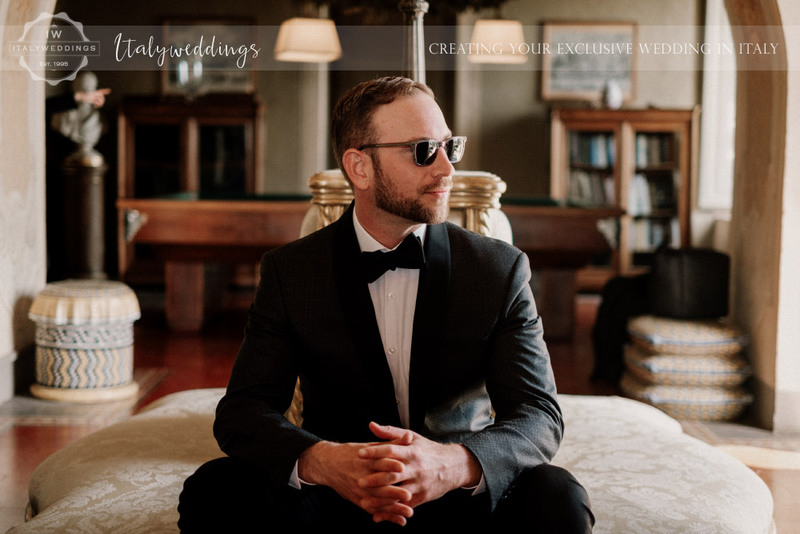 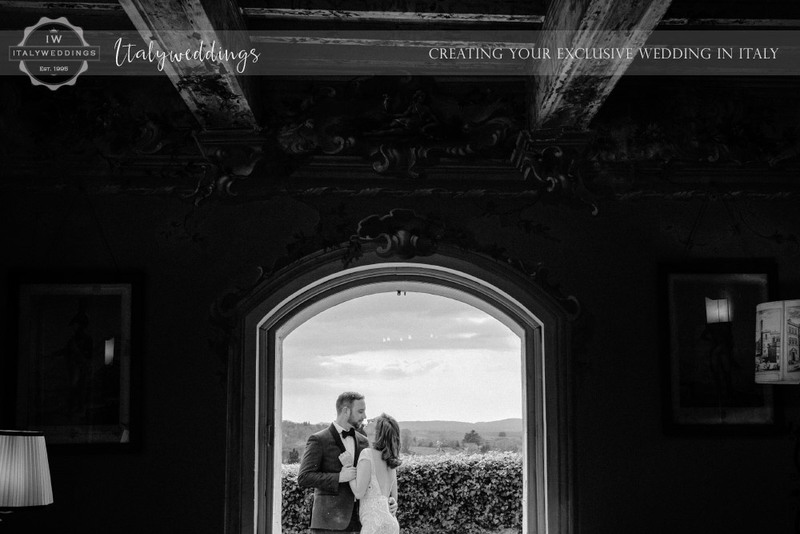 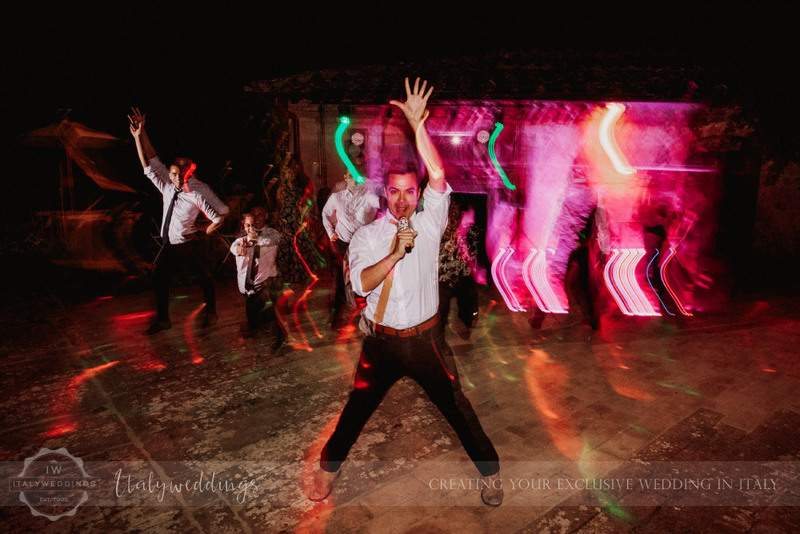 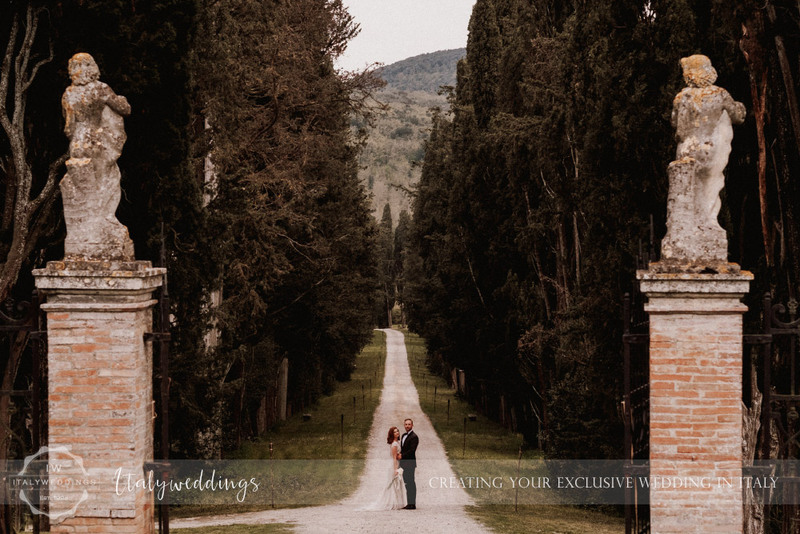 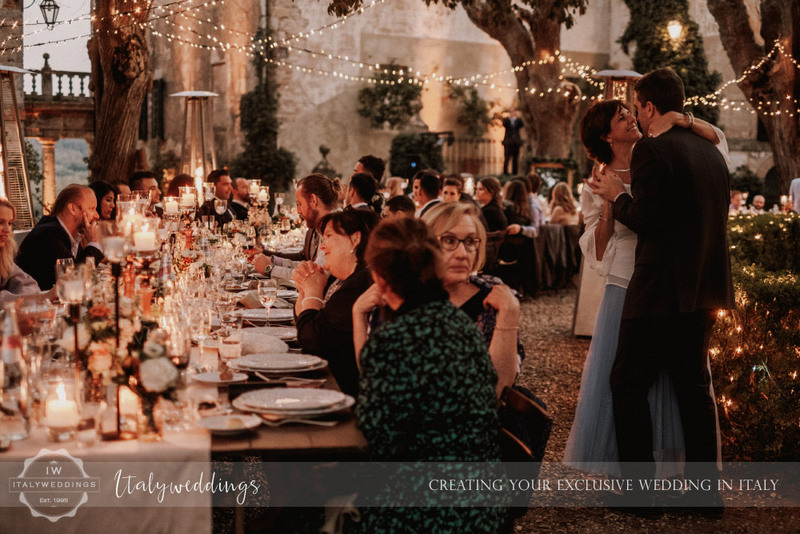 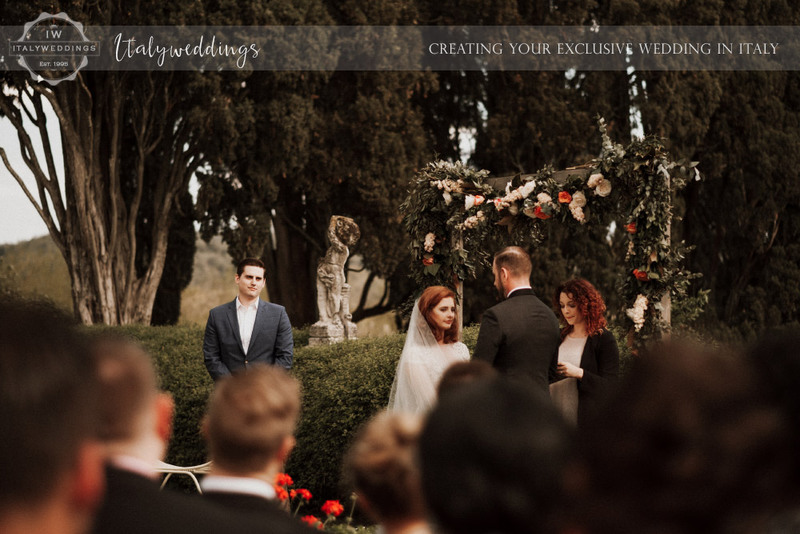 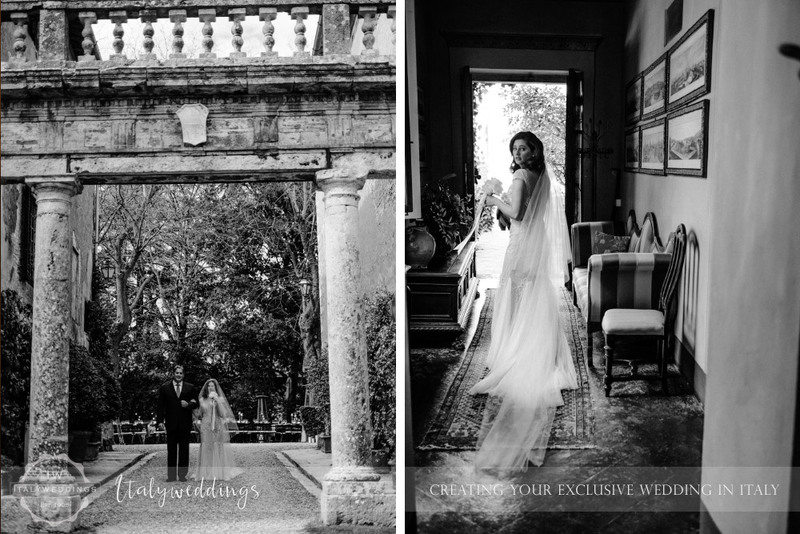 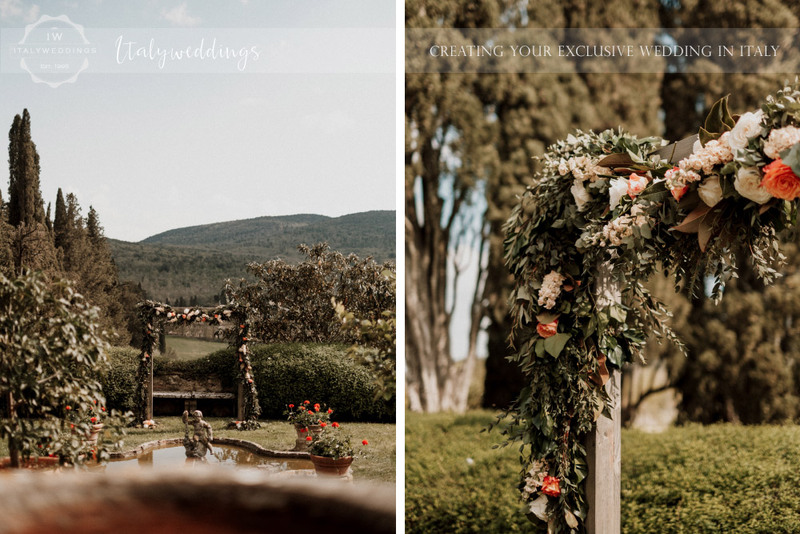 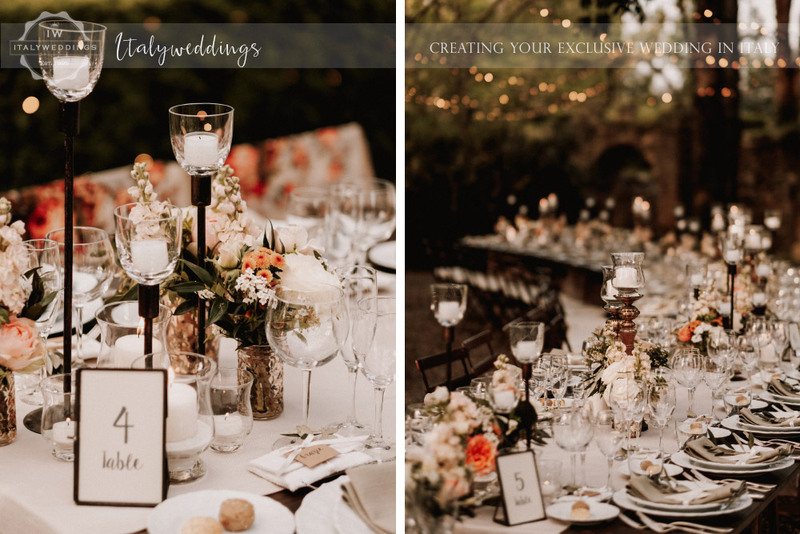 A glamorous but laid back wedding in the Siena area in central Tuscany – Julie and Matthew put the emphasis on music and good times with the ones they love. 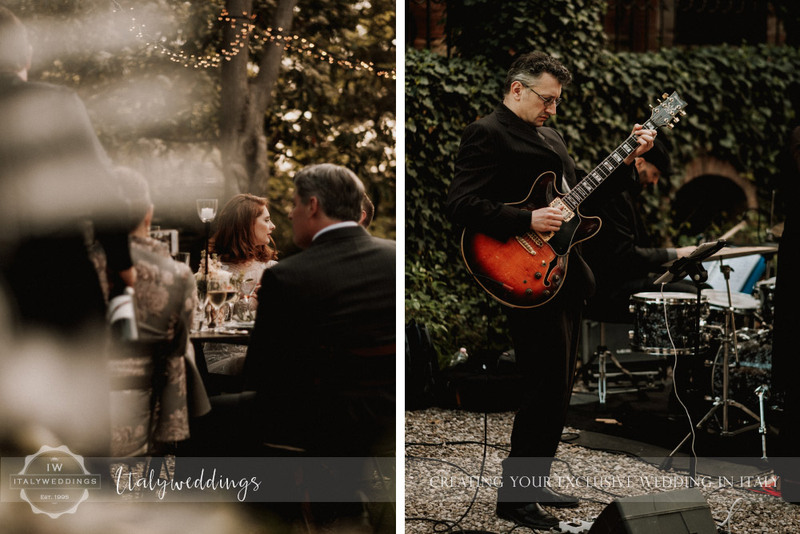 As they both work in the music industry, the sense of entertaining was central to their image of the wedding day. 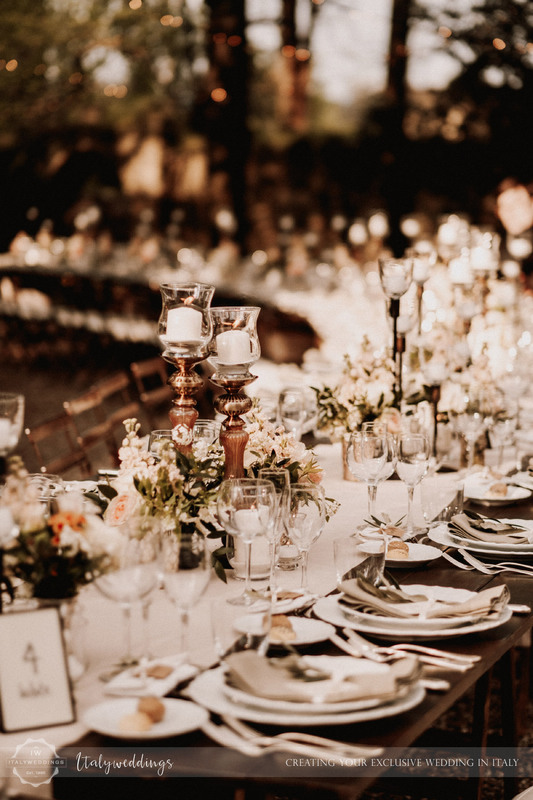 The couple opted for a long, wooden table, but leaving spaces for a family style of service to allow for informality of shared dishes during dinner. 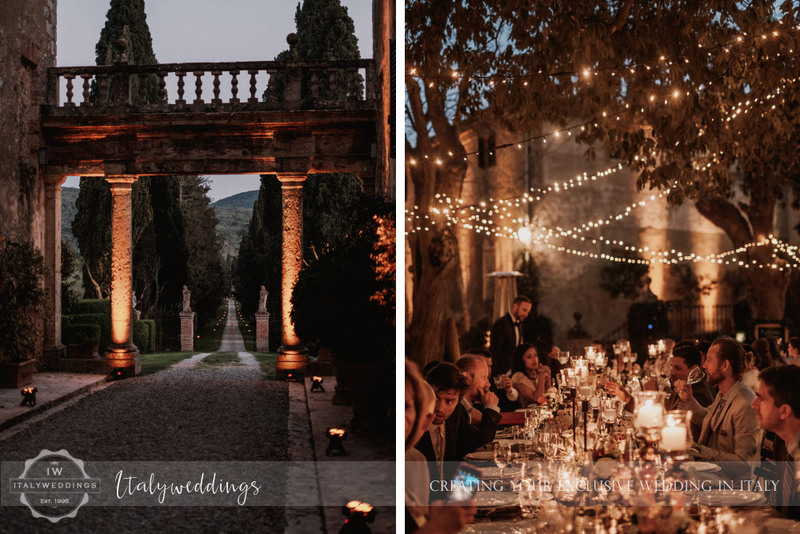 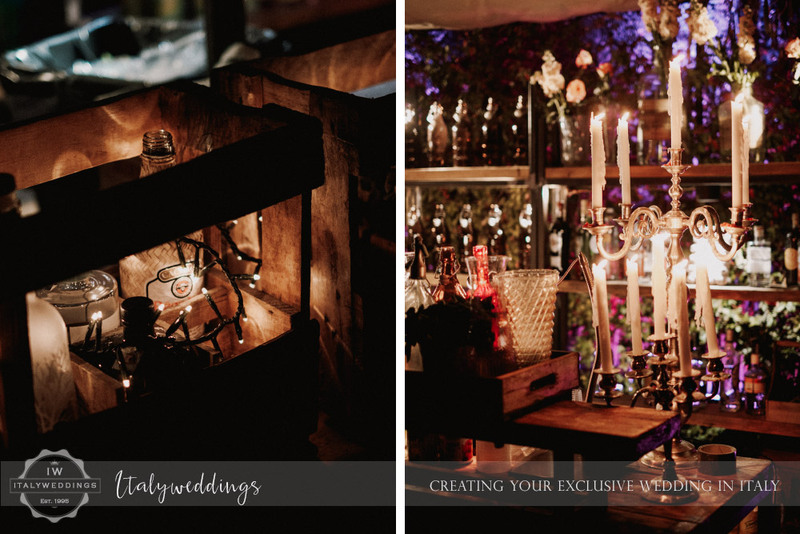 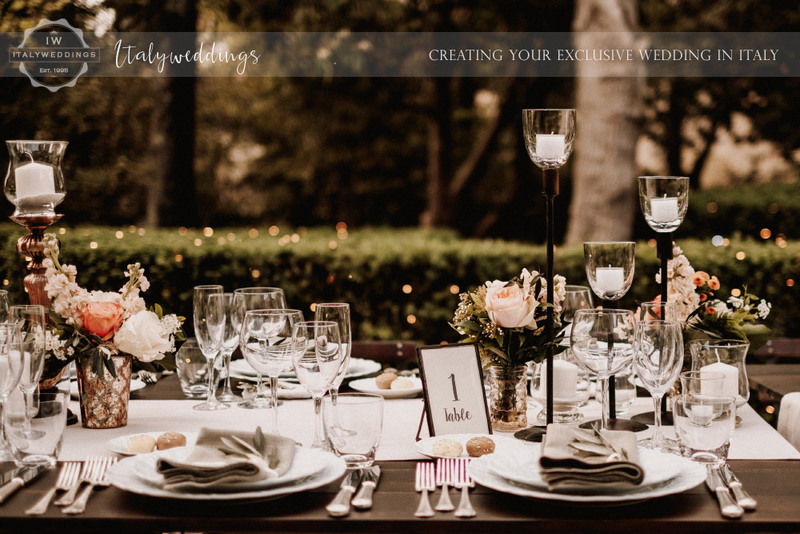 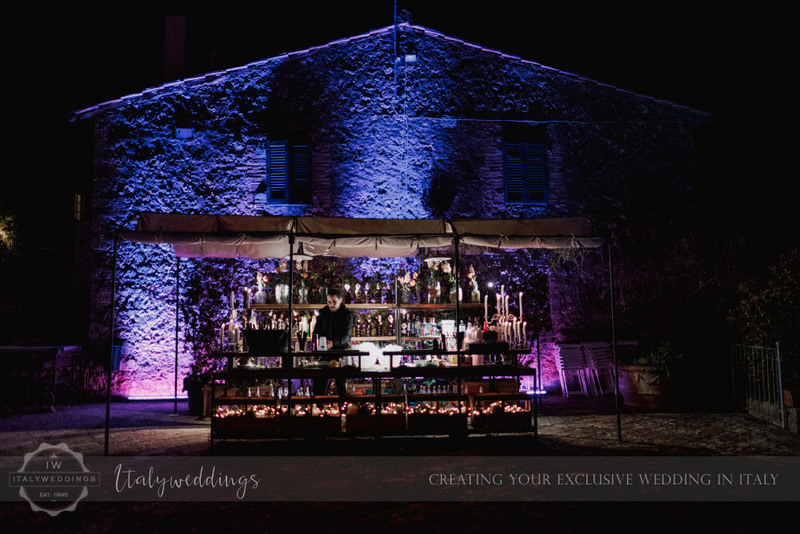 Italyweddings prepared many special “in-house” solutions for them with the lighting design, the antique mirrors for the table map and menu, and our florists specially designed wooden arch. 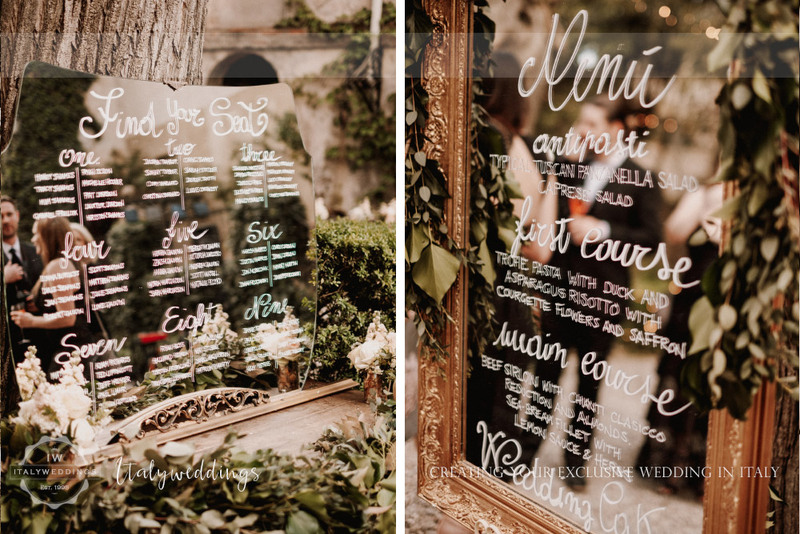 Other details specific to this place and time: Aperol Spritz as signature cocktails, and a bespoke heavily decorated open bar on the dance floor. 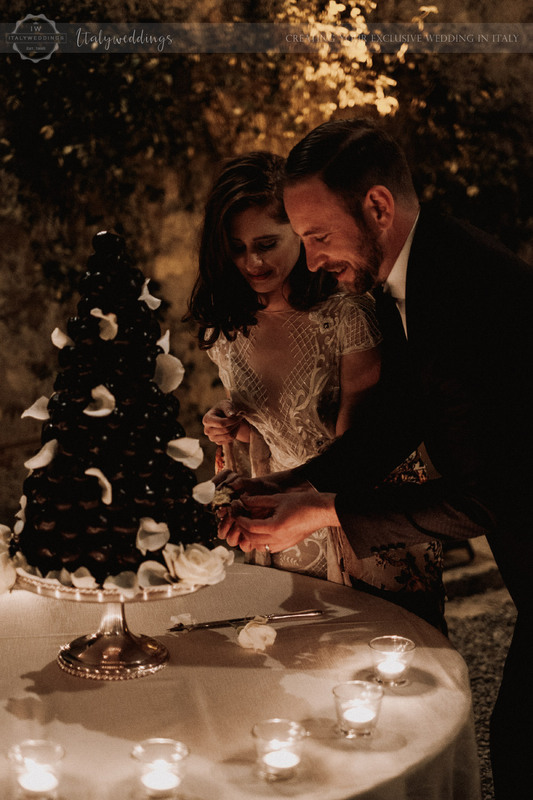 Particularly special was the cake: the bride wanted a croquembouche style, while the groom wanted whatever the cake was, to be chocolate. 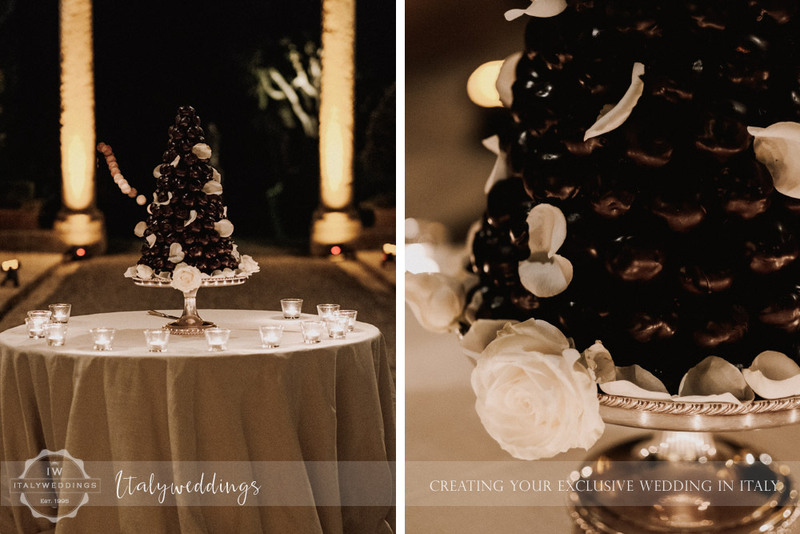 Usually those two things to not meet half way, but our chef challenged the laws of structural cake design to produce a chocolate version of the croquembouche but keeping it vertical and elegant!